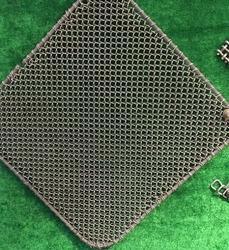 Offering you a complete choice of products which include vibrating screen cloth, vibrating screen, vibrating screen mesh and hcht screen cloth. 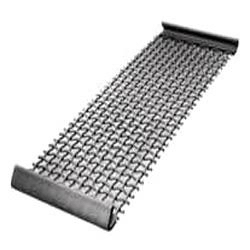 With the help of our team of adroit professionals, we are indulged in offering a wide assortment of Vibrating Screen Cloth that is mainly used in vibrating screens. This cloth is designed and manufactured in strict obedience with market quality standards using high quality raw material and sophisticated machines by our team of experts. Available in diverse sizes, this cloth can be availed from us at very nominal price by our honorable clients. 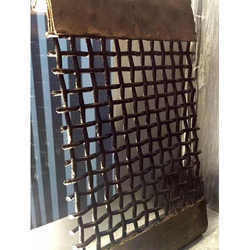 Leveraging on our industrious professionals, we are offering a supreme quality range of Screen Cloth to our clients. It is highly demanded in the market for its optimum finish and durability. The offered cloth is precisely designed and manufactured by our deft team of professionals using the finest quality raw materials and highly developed machines keeping in mind set industry standards. Moreover, our clients can avail this from us in various specifications at rock bottom price. Various Type of Edge - Preparations can be done. We are manufacturing Vibrating Screens in different models having single, double and triple decks, depending on the requirement of customers. 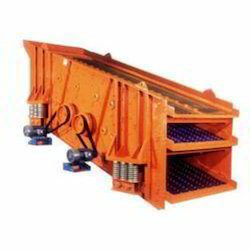 Vibrating screens are used in Sieving, Sorting, Grading, Sizing, Extracting, Conveying, Segregating, Granulating, Dewatering and other Separating and Filtrating Solutions. 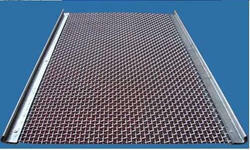 Looking for Vibrating Screen Cloth ?